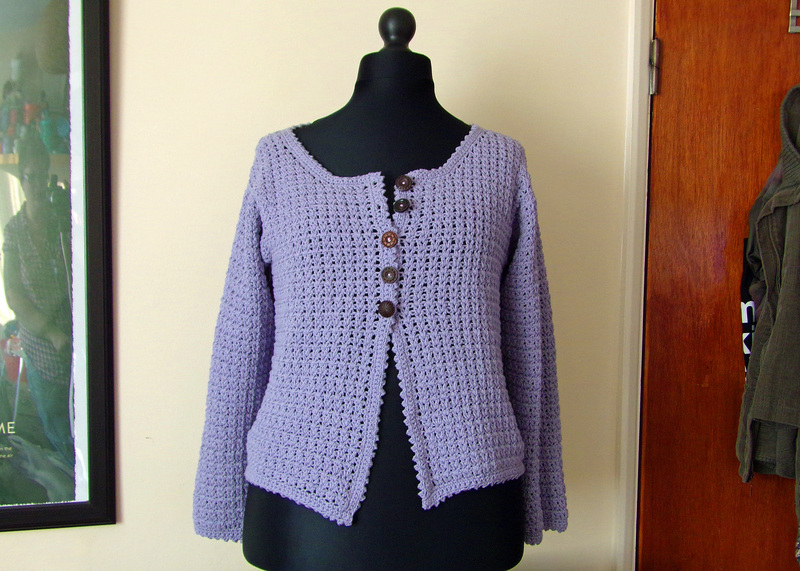 Crochet cardigan in cool cotton – found and finished at last! Remember the crochet cardigan WIP that I managed to lose? Well, I did find it again and, miraculously, managed to finish it! I was so close to finishing it already that I really can’t explain why I stopped with just half a sleeve and the making up to do. Here it is modeled by my marvelous mannequin Dolly. Don’t worry. She’s armless… ba-boom tish!